The self-declared victory by Carmelo Garcia and ethnic cleansing attorney Louis Zayas surrounding their civil suit refiled against the City of Hoboken, Mayor Zimmer and the Hoboken Housing Authority is no more. No more as in kaput. Legal sources knowledgeable with the case said a notification from Judge Costello's office vacated the default "win" late yesterday. The short lived civil lawsuit victory declared by Louie Zayas and planted in a Jersey Journal story lasted all of three business days. Most legal beagles familiar with Zayas' action laughed at the attempted end run on the court saying the self-declared default "win" would die a quick death. for the scheduled hearing on motions against the last vestige of his case tomorrow. The legal action taken by Judge Costello means outstanding motions before the court challenging the last vestige of Carmelo Garcia's "ethnic cleansing" lawsuit will be up for dismissal in reconsideration scheduled tomorrow. Most of Carmelo Garcia's civil lawsuit was dismissed on the first pass earlier this year. His first civil lawsuit claiming Mayor Zimmer was responsible for "ethnic cleansing" had already been thrown out of court in its entirety. Zayas told the Jersey Journal he would be seeking $5,000 a day in damages for "the harassment" Garcia allegedly suffered over the course of a year. 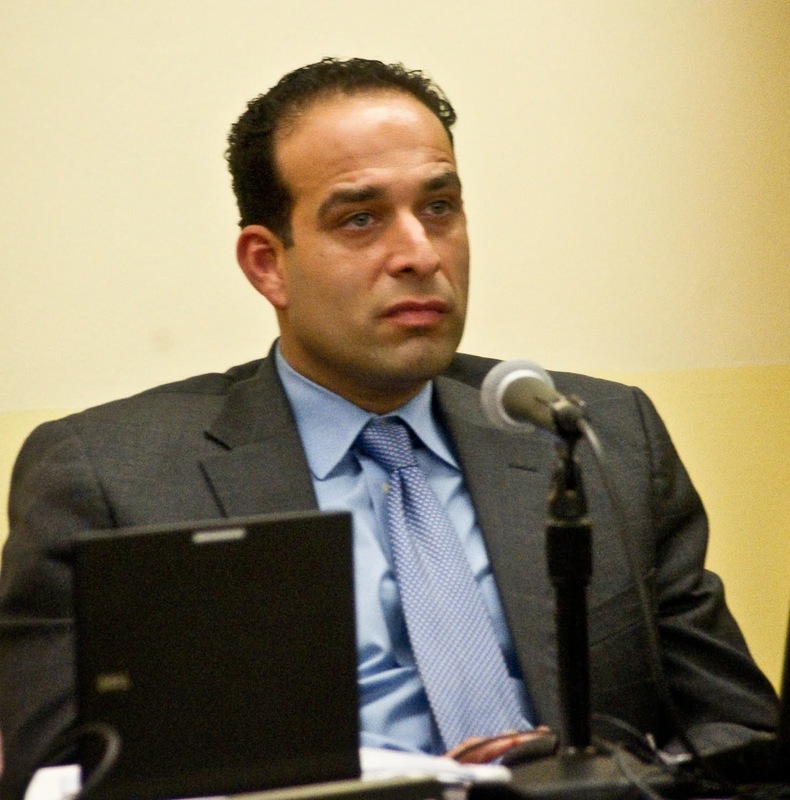 Garcia has been thwarted in his attempts to maintain unilateral control over the Hoboken Housing Authority, its seven member board and force the City of Hoboken to capitulate to his undocumented massive redevelopment "plan" Vision 20/20. The cynical civil lawsuits tried to gain headway applying an intimidation factor to the November election but Mayor Zimmer easily distanced her rivals sweeping City Hall and re-establishing a working council majority coalition. One of the attorneys representing the defendants, Gerald Krovatin had previously stated there were standing motions before the court scheduled for the 23rd and the motion for default should have been dismissed. Talking Ed Note: The legal pr stunt is terminated and places the focus on Carmelo Garcia back on his pay to play actions in the HHA as Executive Director where he took thousands of dollars from two vendors in political contributions who hold no contract. Expenditures running into the hundreds of thousands for both vendors fail to satisfy federal procurement policies. Carmelo Garcia unilaterally declared much of the earlier vendor spending an "emergency" related to Hurricane Sandy 19 months back but the billings fail to satisfy that designation and were not approved by the HHA commissioners in advance as required by HUD regulations.